The European flair depicted in the space is enhanced by Italian glass pendants at the entry and over the reception area. White track with incandescent light sources is used for a general ambiance and highlighting of clients for a theatrical feel. 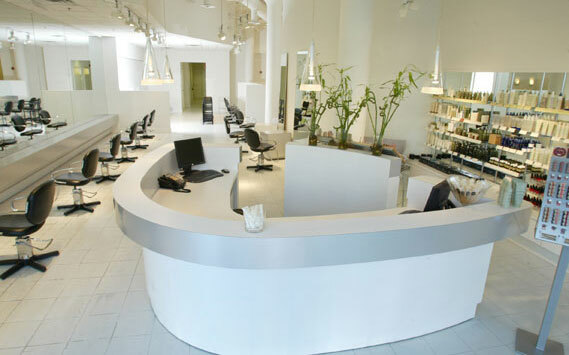 Selection of light sources with good color rendition properties is required for salon lighting design.